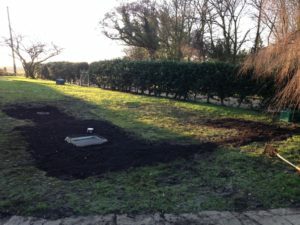 After purchasing a property with septic tank problems in Kent the new vendors needed to find a waste water solution to replace the failed septic tank. The vendors were recommended to contact Mantair to resolve their septic tank problems. Providing site assessment visits, Mantair can assess all septic tank problems in Kent. 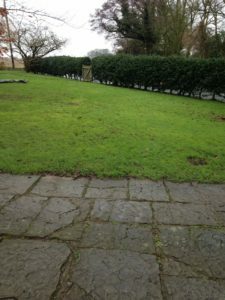 After a brief telephone conversation with the client it was evident that a site inspection was required to ascertain the cause for the septic tank problem. Upon inspection, it was found that the septic tank was surcharged and causing the foul drainage from this Kent property to ‘back up’. On emptying of the septic tank it became apparent that the internal baffle within the tank had collapsed, thus preventing proper separation to take place within the tank. 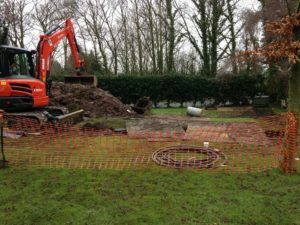 As a result of the septic tank baffle collapsing, solids and floating material had passed into the soakaway drainage field causing it to choke. With the tank not being able to function as a septic tank and the clients preference to have a new tank installed, Mantair engineers recommended the installation of a six person Marsh sewage treatment plant; this being based on the property having four bedrooms and in accordance with the British Water Flows & Loads Code of Practice-4. The Marsh system is a ‘one piece’ packaged sewage treatment plant and is designed to produce a final treated effluent suitable for discharge to a ditch, stream or river. 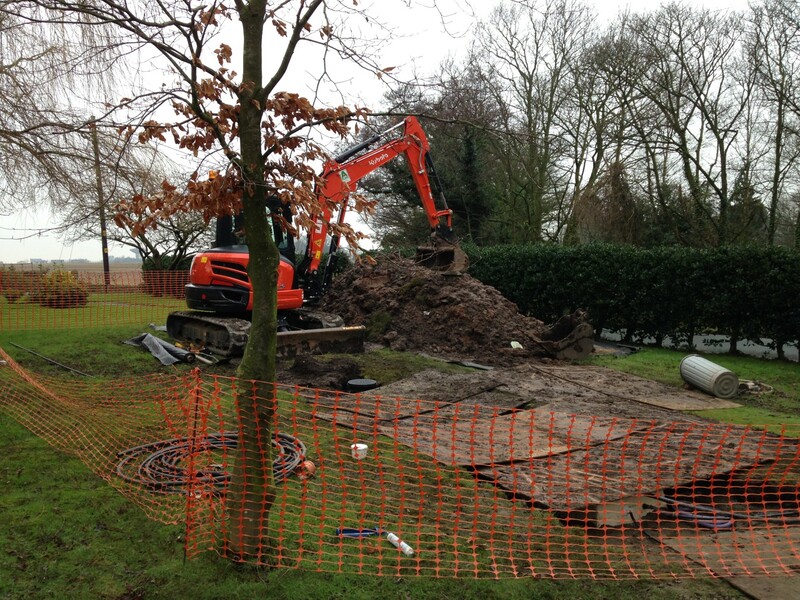 Mantair engineers scanned the ground to identify all underground services prior to works commencing. 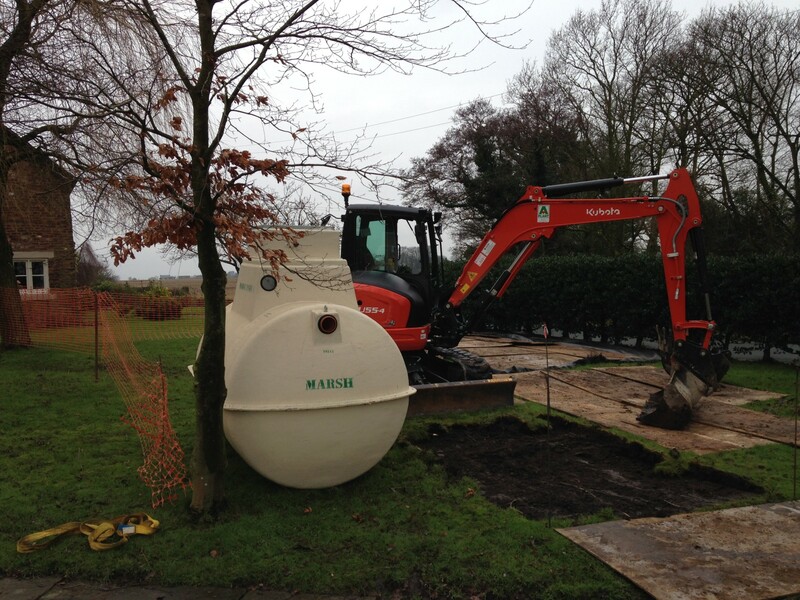 With the new Marsh sewage treatment plant being installed in a different location to the existing septic tank it was necessary for the existing foul drainage pipework from the property to be intercepted and diverted into the Marsh system. The majority of septic tank and sewage treatment plant installations require deep excavations and trenching for new drainage pipes. Therefore, it is crucial that all underground services are identified and remain undamaged throughout the duration of excavations. As with all septic tank and sewage treatment plant installations Mantair conducts in Kent, the Marsh system was installed with a concrete surround to protect the structural integrity of the tank. An independent RCD protected power supply was installed from the property to the remote blower housing, with the relevant NICEIC Certification being obtained. A new discharge drain was installed and connected to the Marsh system allowing the treated effluent to drain direct into a nearby ditch. 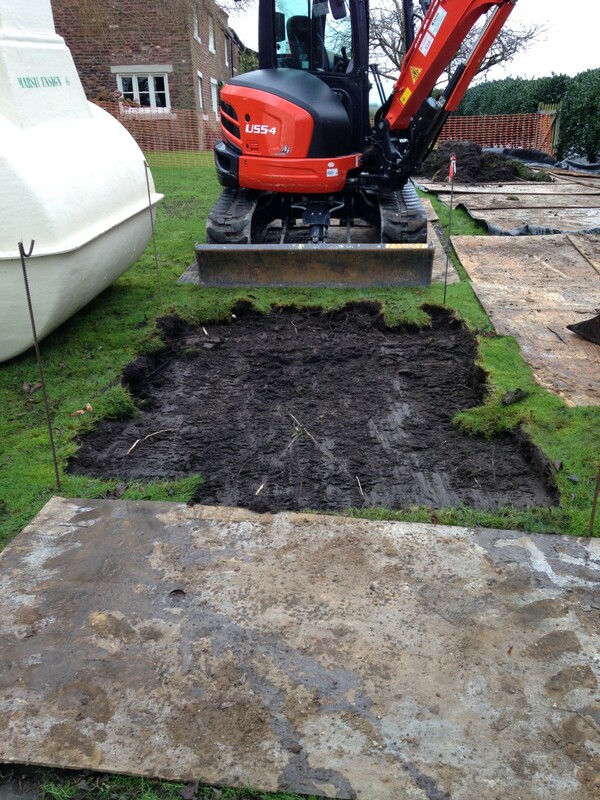 The existing septic tank was de-commissioned and infilled. The installation of the Marsh sewage treatment plant solved the septic tank problems at this Kent location and provides the vendors with an environmental way of disposing with their waste water. Mantair provides a comprehensive septic tank and sewage treatment plant service throughout Kent and surrounding Counties. This includes septic tank inspections, guidance and advice on the most suitable system for the client’s requirements, complete installation, commissioning and full after sales care. Did you know that the cost to resolve your septic tank problems may be covered by your existing buildings insurance policy? Mantair works in partnership with the UK’s leading drainage insurance claims management company to offer our customers a unique insurance claims management service throughout Kent and surrounding Counties. 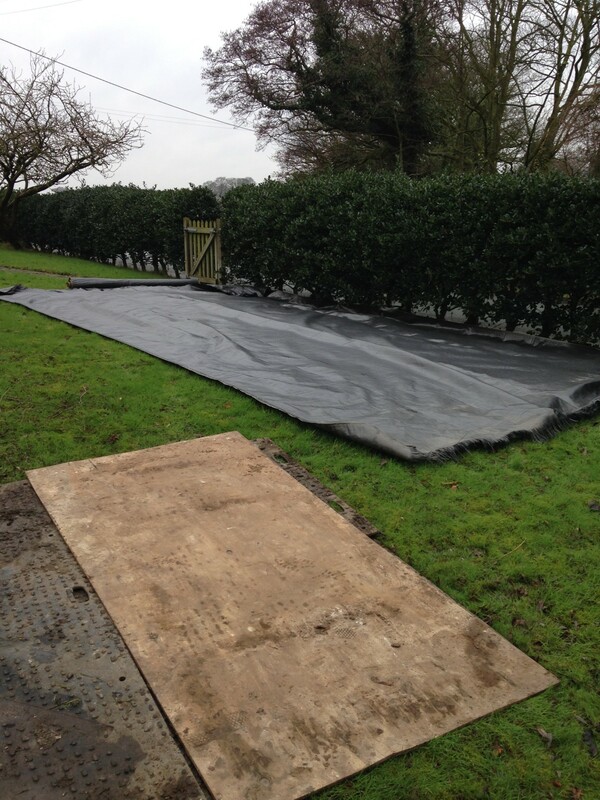 Providing expertise in managing insurance claims for the costs of repairing or replacing damaged drainage systems, we work on behalf of property owners across Kent, helping them to save thousands of pounds in resolving their septic tank problems. Call our team on 01255 853890 to find out how we can help solve your septic tank problems or complete the form below.